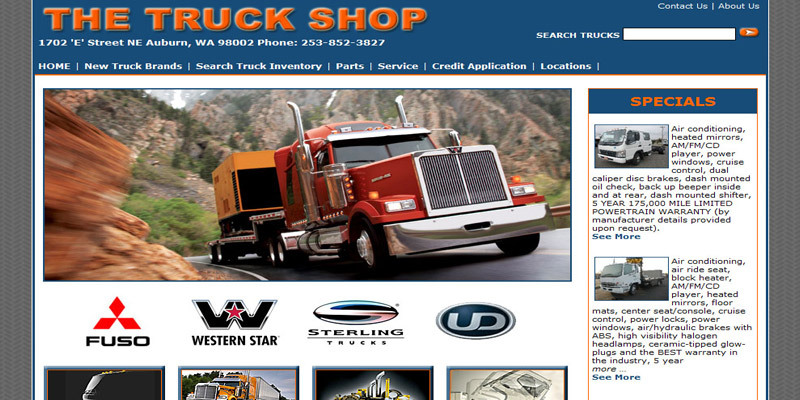 We Specialize in Custom Mobile Automotive and Truck Dealership Website Design. If you own or operate a car dealership or a small truck and trailer dealership, and you want people to find and buy your new or used cars, trucks, RV motor homes, trailers, or boats online, we can help with that. » When people search for a specific new car or used truck, automotive, boat, trailer, or RV are they finding the vehicle that's on your lot right now and ready to buy? People typically search locally for the vehicle, RV, boat, or trailer they want so that they can come into the dealership to kick the tires and take a test drive. Our Customized Website Inventory Database creates correct titles and descriptions for each vehicle on you lot, which are then indexed into Google. 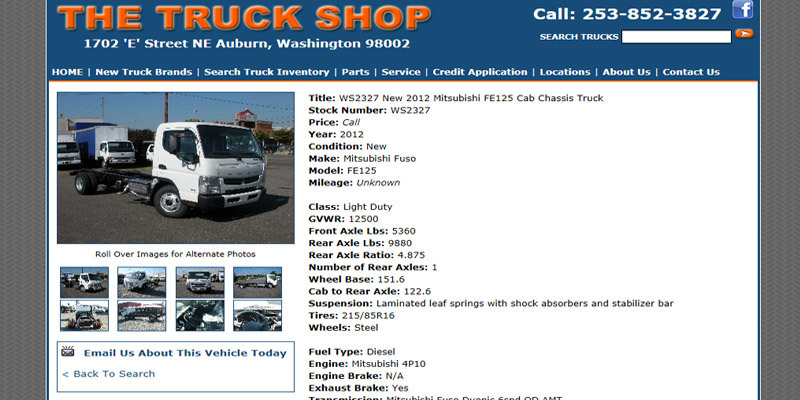 When a buyer in your area uses your keywords, your vehicle listing comes up at the top of the search. With our database, you can list thousands of automobiles, trucks, RV motor homes, boats, trailers, or large equipment using dozens of data fields that we've customized just for your needs, all from the comfort of your dealership. "We had an old unusable website that didn't attract or appeal to our customers. Several companies came in and gave us quotes to redo the page but no one really seemed to understand what we were looking for more than ASWD. They clearly understood our budget and gave us what we asked for along with their expert opinion. Our website looks and works great as well as attracts more traffic from search engines than it had been before." 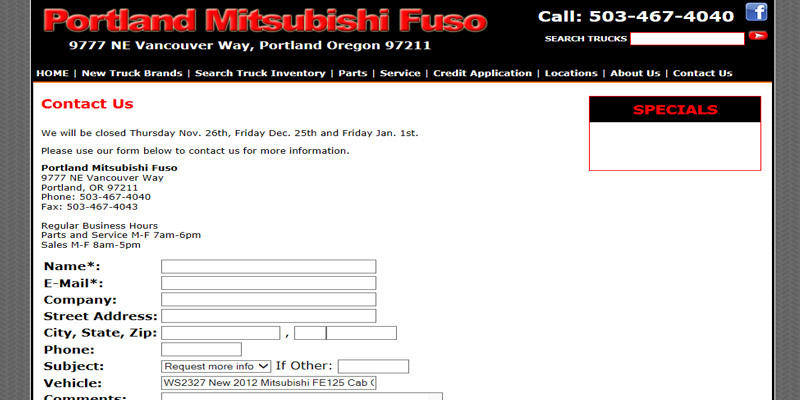 – Thousands of your potential customers search the internet daily for vehicles that are on your lot right now. If you want to capture these online leads and bring customers in to your dealership, it's essential that you have a professional and comprehensive website. We can help with that. 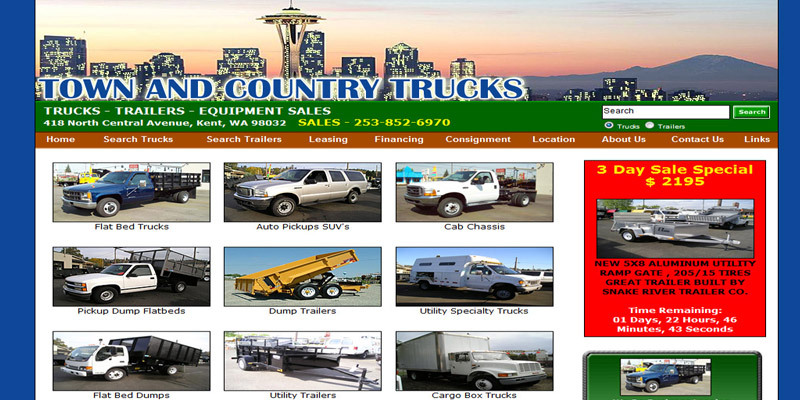 We can create a custom website design that helps bring prospective customers into your dealership, where they can buy the car, truck, trailer, RV, boat, or whatever type of vehicle they've been searching for. – It's all about "see before you buy" for most customers! They want to see a complete list of vehicles on your lot, and each listing needs to have details, prices, and lots of great photos, before they'll come to your dealership for a test drive. By having a real time inventory database at your fingertips you can list vehicles, change details, or upload new photos in minutes. Or you can hide the vehicle online for an hour if you have a prospective buyer who needs to first get approved for financing. Our custom websites put that kind of power in your hands, with NO monthly maintenance fees. – Maximize your marketing budget. A website with good search engine optimization (SEO) can be the most cost effective way of generating leads for your dealership. With every website we design, the number one priority is SEO. We can help set up your free Google account, and our search engine marketing expertise can help make sure that your dealership website ranks well on Google and other search engines. In addition, every automobile, truck, or RV listed on your website gets custom title and description tags to help bring buyers in to your dealer lot, where they can purchase the vehicle they've been searching for. – Email newsletters are easy to add and can be a big help with your marketing efforts. Brief email updates or reminders for vehicle service can help you stay in touch with your customer base and bring in repeat or referral business. 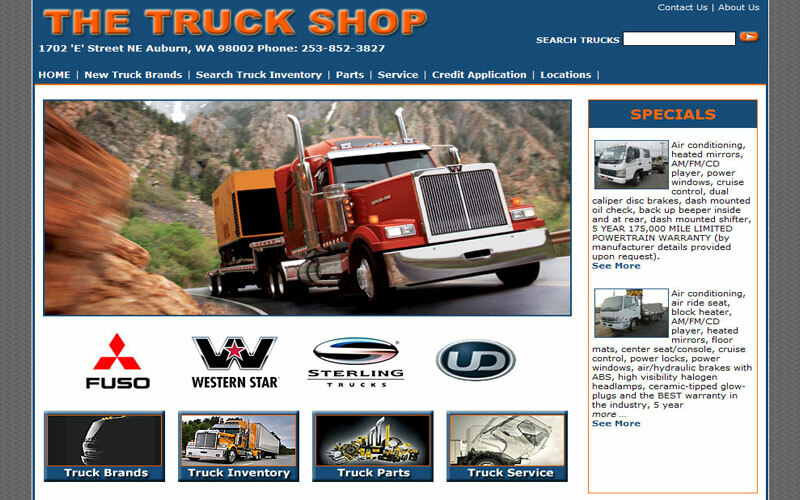 – We have helped a number of Seattle area auto and truck dealers extend their local branding power by creating an exciting, informative, and useful vehicle dealership website. 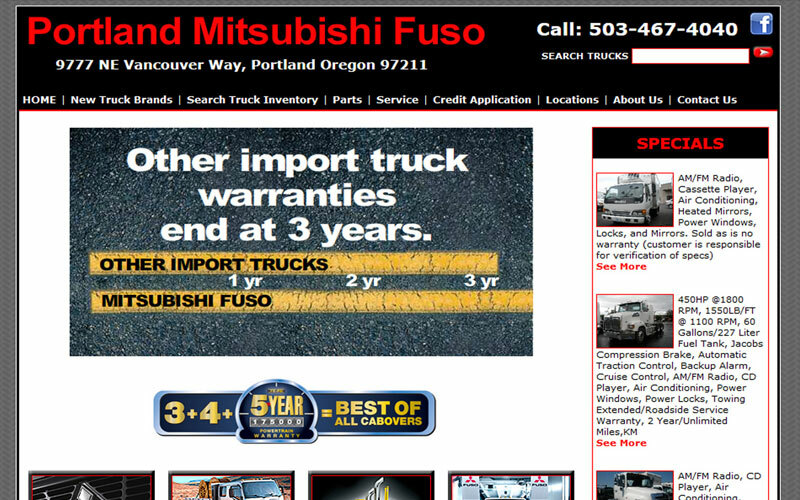 Take a look at some of our high-impact full auto and truck dealership websites below.